This is étude No. 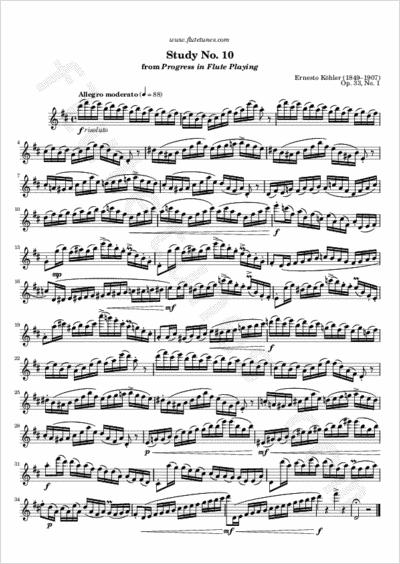 10 from the first book of Ernesto Köhler's Progress in Flute Playing, Op. 33. From its very beginning it is evident that this is mainly a study in thirds. It starts off in D major, and explores the keys of G major and E minor before going back to the original key to restate the initial theme.